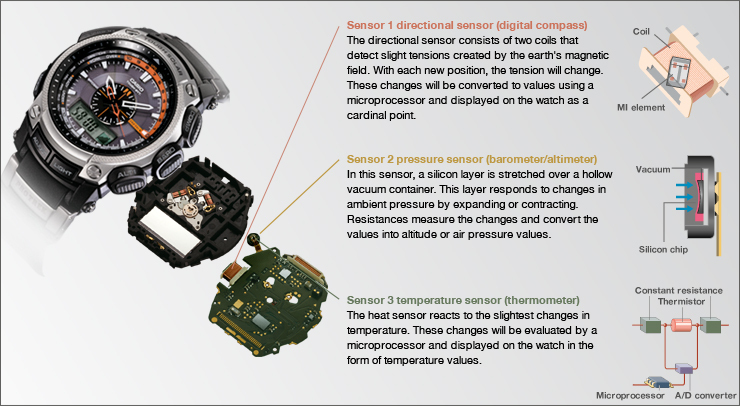 The triple sensor is an extremely small three layer sensor, which can be accommodated on the smallest of boards. This technology includes the most important functions of the watch. Key features include a thermometer to measure the outside temperature, a barometer for determining the air pressure and a digital compass to display the cardinal point.